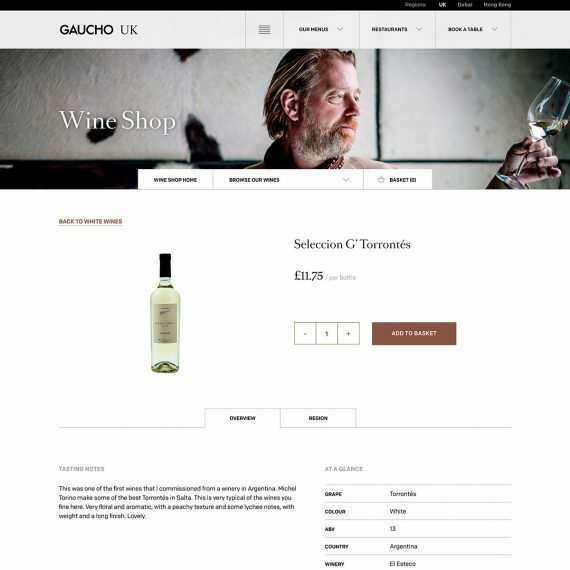 Gaucho wanted to launch an online shop which would allow any customer to buy the wine they drunk in Gaucho Restaurants at home at competitive prices, rather than inflated, as some restaurants do. 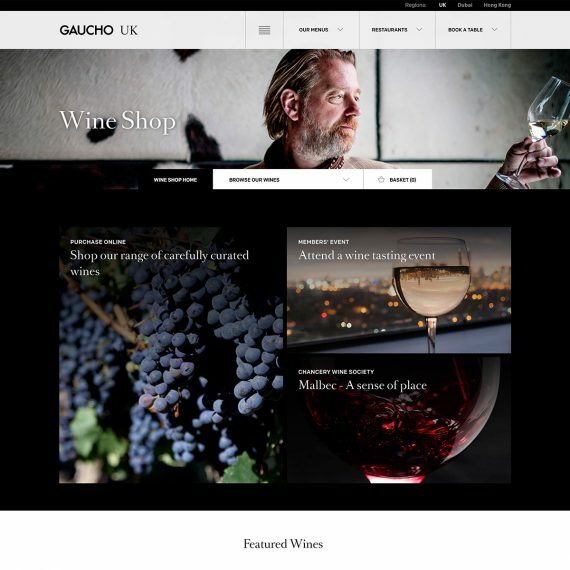 Gaucho’s website was already built using WordPress. 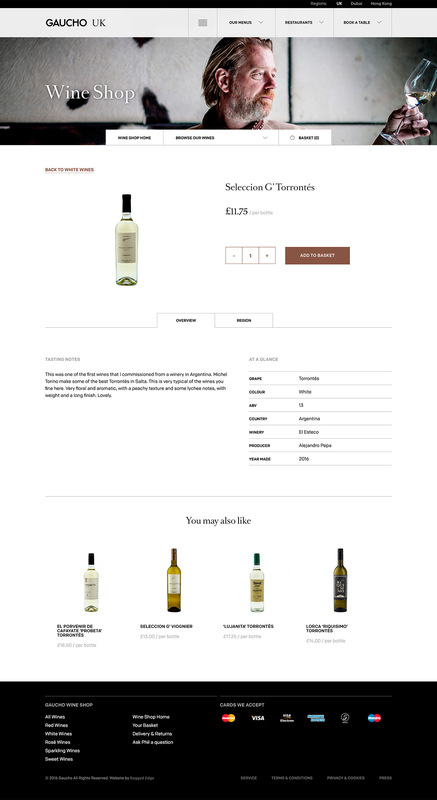 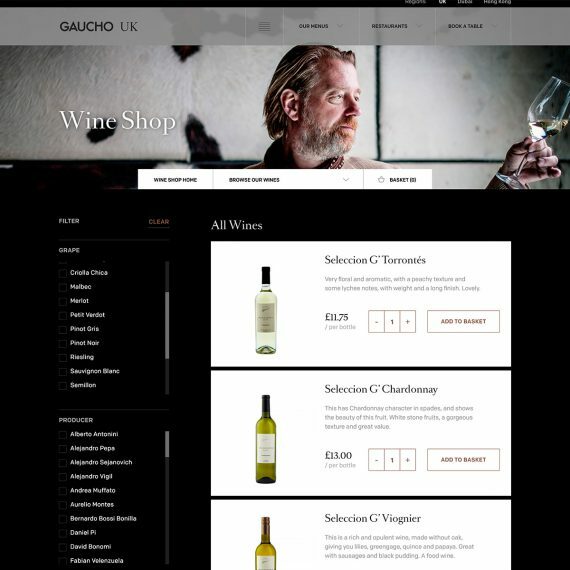 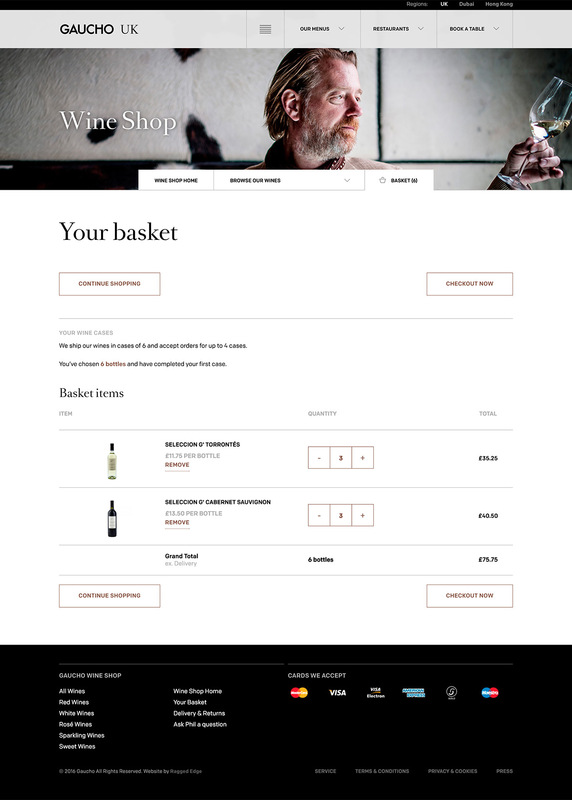 Working along side Ragged Edge’s UX and design team, I was tasked with developing an online wine shop using WooCommerce. 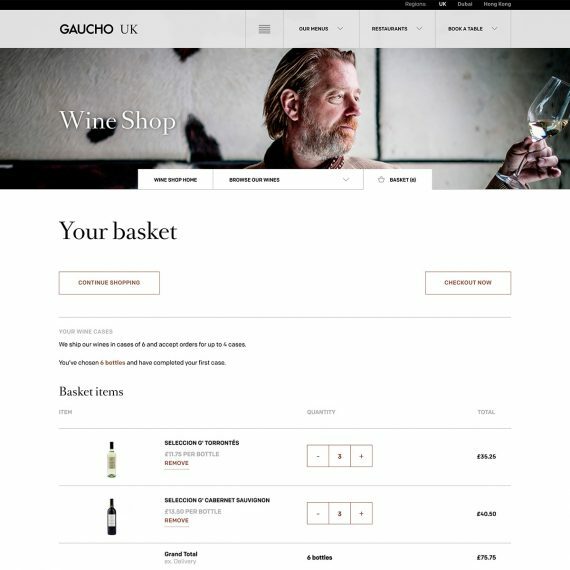 Most elements are custom built as the client wanted a unique experience for its users. 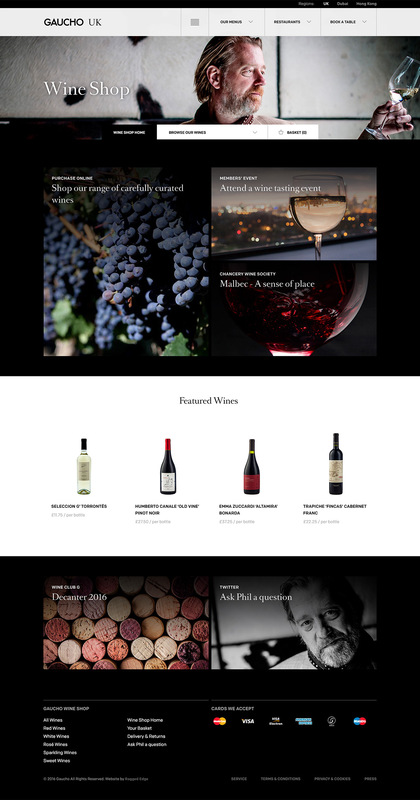 This was an extremely difficult build due to it having to be complete in 5 short weeks.